It has been a whirlwind year for Ethiopia since Abiy Ahmed became prime minister. He has initiated a raft of reforms to overhaul Ethiopia's authoritarian government structure, significantly improved relations with neighbours and received widespread international acclaim, including a nomination for the Nobel Peace Prize. But the same period has seen a sharp increase in lawlessness, intensified domestic conflict, heightened identity-based violence and huge internal displacement. The fervour of 'Abiymania' has waned in recent months, as the reality of the monumental tests that lie ahead hit home. Having created massive expectations among competing constituencies, there are growing fears that Abiy's reforms might end up achieving neither good governance nor stability. To date, his accomplishments far outweigh his shortcomings. But significant tests lie ahead. Abiy Ahmed's major foreign policy success has been the normalization of relations with Eritrea after twenty years of discord, bringing a massive peace dividend to a vast area of the Horn of Africa that had long been undermined by proxy conflicts between Addis Ababa and Asmara. Within weeks of a landmark July 2018 meeting between the prime minister and Eritrea's President Isaias Afwerki, essential services were restored. Nonetheless, fundamental challenges remain in the relationship, including the need to outline details of a lasting political and economic cooperation framework. Abiy Ahmed's role in improving prospects for lasting peace in the Horn has created a significant reservoir of regional and international goodwill. Yet if lasting solutions are to be found, he will need to engage with multilateral organizations rather than relying on one-to-one dialogues. Ethiopia's relationship with the Gulf states has also significantly improved over the past year, with Saudi Arabia and the UAE playing a role in brokering peace with Eritrea, Addis Ababa partnering with Abu Dhabi and Riyadh to improve economic integration in the Horn, and several new agreements on economic and military cooperation, including the UAE pledging $3 billion in aid and investment. Ethiopia's political landscape shifted on its axis when Abiy Ahmed came into power in April 2018 following large-scale anti-government demonstrations that had brought the country to the verge of national collapse. Prior to Abiy's election, the ruling Ethiopian People's Revolutionary Democratic Front (EPRDF), nominally a coalition of four ethnically based parties, had been dominated by the Tigrayan People's Liberation Front (TPLF) for over 25 years. The prime minister is the country's first leader from the Oromo Democratic Party (ODP), representing an ethnic group that accounts for around 35 per cent of Ethiopians. For many, being ruled by an Oromo redresses a historical imbalance in power dynamics that had favoured the people of the northern highlands. Abiy Ahmed has largely discarded the revolutionary ideology and developmental state economic model that glued the EPRDF together and favours Western educated technocrats over loyal party cadres for senior positions. However, the EPRDF has a membership of nearly 8 million people - a vast network that cannot simply be abandoned. Disputes have intensified between member parties amid a widespread perception that ODP is replacing TPLF as a hegemon. The prime minister has talked about creating a national party that moves beyond ethnic lines and altering the constitution to institute a presidential system that he argues would be more egalitarian and inclusive, enabling 'any Ethiopian living in any corner of the country' to become president. His short-term calculation is more likely that universal suffrage, coupled with regional alliances increase the likelihood of a populist figure like himself being re-elected. Abiy has also suggested installing a two-term limit, although this is yet to be enacted. The security situation has worsened partly because Abiy has targeted Ethiopia's authoritarian security agencies to gain popular support and remove threats to his leadership. Senior officials have been relieved from their positions or arrested under corruption charges. This has resulted in the TPLF and Tigrayans feeling targeted by the government and has caused a damaging power vacuum. The prime minister has failed to respond adequately to these complex crises beyond establishing ad-hoc commissions, including one for Reconciliation and one for Administrative Boundary and Identity Issues. The government must move beyond symbolism and empower institutions - particularly the recently established Ministry of Peace - to deliver local reconciliation efforts that are linked to a genuinely inclusive nationwide peace process. 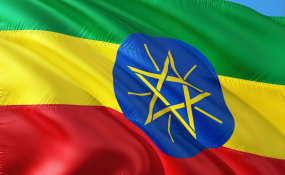 While Ethiopia boasts the highest GDP growth in Africa, it slowed below 8 per cent in 2018. Abiy Ahmed has disrupted Ethiopia's state-led developmental model and instead sought to tackle Ethiopia's debt and currency crisis by renegotiating Chinese loans, seeking financial and technical support from the World Bank, and courting new investment from the Gulf and Western partners. Tackling youth unemployment is a critical challenge in a country of 100 million people, with two million young people entering the job market every year. Ethiopia plans to create a million jobs a year through the expansion of its industrial parks and rapid growth in the manufacturing and services sectors. Cognisant of the role of students in toppling the previous EPRDF leadership, Abiy has focused on transforming the capital city rather than rural areas, claiming that 'if you can change Addis... you can change Ethiopia'. However, to reduce Ethiopia's inequalities, transformation needs to start in the rural areas, home to approximately 80 per cent of the population. It is another difficult balancing act. Abiy Ahmed has made great strides in his first year by challenging the status quo and disrupting the authoritarian state machinery. In his second year he must strive towards building a plural, democratic and stable political order, focusing on developing lasting institutions. For the prime minister's reforms to stick he needs to revitalize the EPRDF under a new common vision and implement a sound economic strategy that consolidates hard-won recent gains. Most importantly, Abiy needs to address a deteriorating security situation that threatens the survival of the country. Ultimately, Ethiopia's many challenges are far more than one leader can tackle alone, and Abiy Ahmed must trust in the expertise around him to ensure the support and goodwill generated in his tumultuous first year is not squandered.